Penzión Frank guest house has 9 rooms each with private bathroom. All rooms are comfortably furnished with free Wireless Internet access, digital television with DVD player, hair dryer, small fridge. Each bathroom has it's own shower, toilet, wash hand basin with towels and toiletries. Our guest house is non-smoking, you can smoke in the areas outside of the premises. A large private car park is available to all guests. Your children can play on outside playground or inside in our "play room" equipped with toys and various games. For the smallest ones we provide cribs or dining chairs. Behind our guest house there is huge garden with grill and fire place. In a walking distance there is SKI resort Dolinky - Žiar. 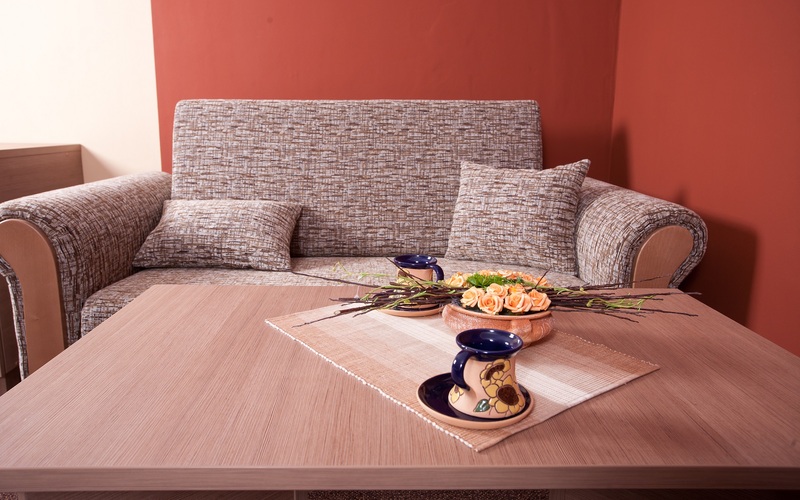 Suite is located on the ground floor and has unassisted wheelchair access. It's spacious with windows oriented to the East. This suite is the most spacious suite in the guest house. It is on the ground floor with windows oriented to West towards forest and garden. 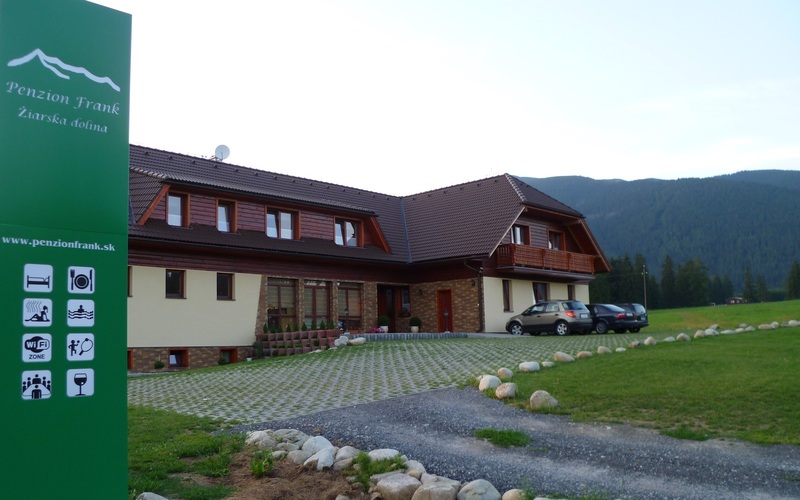 Suite is located on the first floor with the nice view on the West Tatras hills. Spacious suite with large living room and balconies are oriented to the South. 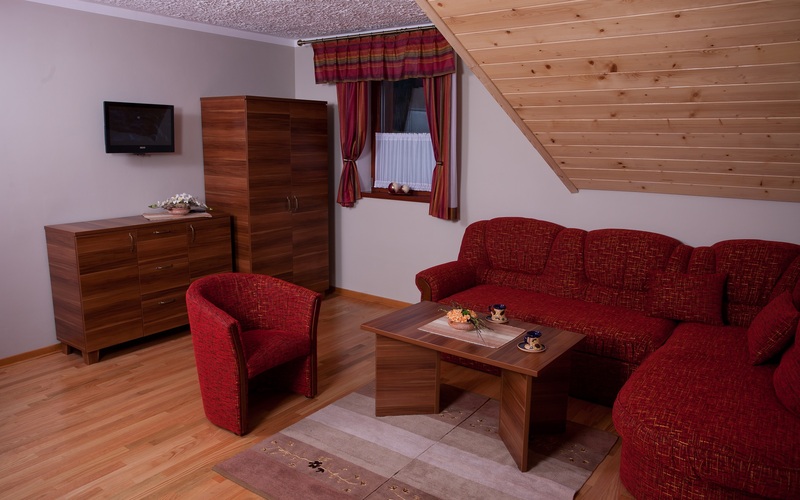 Cosy suite located on the first floor with the nice view on the near-by forest with ski slope. 2-bedded room on the first floor with possible extra bed. Balcony is oriented to the East. 2-bedded room on the first floor with possible extra bed. Balcony is oriented to the West. 2-bedded room located on the first floor with possible extra bed. Balcony towards the West. Complete price list of all accommodation and food services in Penzión Frank.